victoria | Randomwhoness: a Doctor Who blog by Johnny Spandrell. Sampling stories in random order. Whenever the Doctor arrives in 1966, it’s time to hit the town. In his last incarnation, he hit London’s hottest nightspot. The second Doctor’s tastes are more sedate. He and Jamie (those buddies the Trought and the Fraze) content themselves with a coffee bar. Still, there are miniskirted girls there for Jamie to flirt with and a rocking soundtrack consisting of The Seekers. Wow, what a groovy trip, man! But enough of such frivolity. Revisiting The Reign of Terror and now The Evil of the Daleks in quick succession has got me thinking about David Whitaker, story editor of the former and writer of the latter. (Spoiler alert: he’s my LINK between these two stories). I’ve been doing some Googling and I’ve realised how little we actually know about him and his career. There’s only one interview for DWM before his death in 1980 at the shockingly young age of 51. Most of his other TV and film work either pre-dates Doctor Who so is probably long lost, or is not much remarked upon. Frustratingly for me, his TV work undertaken while resident in Australia is documented only by credits on IMDB. The producers of An Adventure in Space and Time omitted him completely. How can we know so little about the man who crafted so much of our favourite show’s crucial first year? The man who introduced Patrick Troughton’s Doctor? And who wrote, as he and the show’s producers expected it to be, this random story, the one they intended to end all Dalek stories? I think it’s because he feels more familiar than he is. 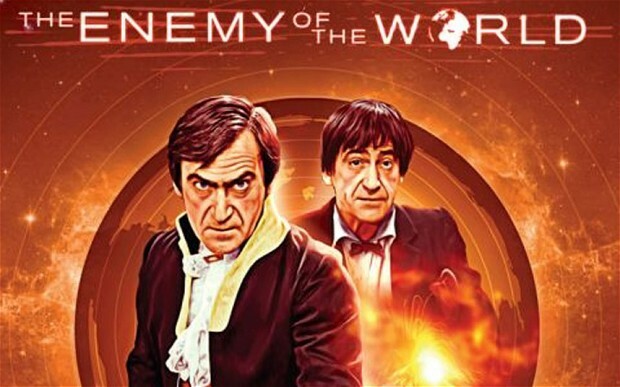 That’s because of the sheer number of episodes he wrote (33, not counting the written-by-committee The Ambassadors of Death) which are mostly well regarded, and he wrote those two stellar novelisations of The Daleks and The Crusade. We (or at least, I) have taken this man for granted. All this gets me around to saying that I have to guess at David Whitaker’s take on Doctor Who, because despite being a key creative force at the series’ genesis, I don’t really know what he thought made the show tick. But I would suggest that he was very proud of his connection to the Daleks, perhaps almost to the point where he felt some shared authorship of them. Certainly, he has an indelible link to that first Dalek story, having story edited it (and I suspect writing large chunks of it, if we’re to believe Terry Nation’s reputation for writing sparse scripts), written the novelisation, and contributed to the movie version. Plus he wrote the Dalek stage play, and the Dalek comic strip and when tasked with writing the Daleks out of Doctor Who, he returns the Doctor to their city on Skaro, the place where all this mania began. 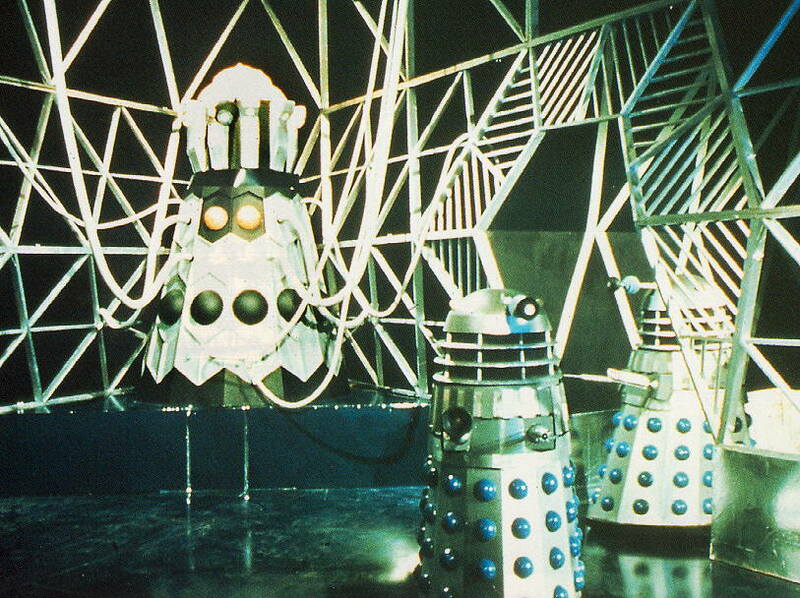 What strikes me about The Evil of the Daleks, is how different Whitaker’s take on the Daleks is from Terry Nation’s. In Nation’s serials, the Daleks are plain speaking, declaratory bad guys. They are simple; they wish to enslave and exterminate. There’s no nuance; what you see is what you get. On casters. But the Daleks of Whitaker’s stories, first The Power of the Daleks and then Evil are very different. Because Whitaker’s Daleks are deceitful. Evil is inherently about mixing up what’s human and what’s Dalek, and it’s this which seems to interest Whitaker most. In this story we see Daleks become like human children, and a human – chief nutbag Maxtible (Marius Goring) – become like a Dalek. But more subtly, it’s the ability of Whitaker’s Daleks to deceive, to cajole and to inveigle which makes them seem more human and therefore more interesting than Nation’s Daleks. They mimic humanity’s traits as never before. The most telling example is when a particularly wily and genuine Dalek pretends to be one of the humanised versions in order to gain the Doctor’s trust. (The Doctor’s not fooled, and in show of intelligence and cunning to match the Dalek, shoves it off a cliff). Whitaker also introduces an almost seductive element to the Daleks (yes, you read that right), highlighting their ability to convince humans to become their unwitting allies. In Power it was Lesterson, who almost fawned over the creatures in an attempt to further his knowledge. In Evil, it’s Maxtible whose arrogance leads him to believe he’s a ‘colleague’ of the Daleks and not their hapless crony. Both speak in reverent, hushed tones about the Daleks, as technological wonders. This allure is quite different from the cold political convenience that Mavic Chen (Nation’s take on a human ally of the Daleks) saw in them. Whitaker’s Daleks have an almost magical influence over people. In Evil, we have the first example of a human under Dalek mind control in Arthur Terrall (Gary Watson) and a number of characters speak about people coming under ‘the power of the daleks’. It’s telling that given the opportunity to write the Daleks out of the series, Whitaker pulls out all the stops. Back in his days as story editor, serials were set in either the past, present or future. Evil is set in all of them. 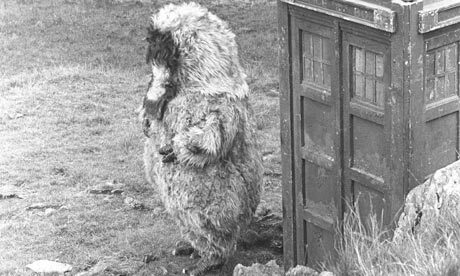 We revisit the settings of The Daleks by returning to Skaro, and if Whitaker’s initial ideas had got off the ground, the Doctor would have made friends with a caveman, recalling the show’s very first story. This is a rare example of a sixties era story mining the show’s own past. And why not, as Whitaker was an architect of that past. But he doesn’t rest on his laurels too long. There’s the Emperor Dalek, the biggest, baddest of them all and a civil war with Daleks fighting Daleks. All this plus time travel by mirrors, metal turned into gold, an impossible antique shop and a mute Turkish wrestler. No wonder Evil has maintained fans interest over the years, long after it was junked. There’s so much in it to talk about. But at its heart, I think, is not this juxtaposition of diverse elements, but the desire to make the Daleks as conniving, as darkly alluring and as fascinating as any human villain. Is this what was going on in Whitaker’s mind? We’ll never know. But it’s been one hell of a trip. NEXT TIME: Treeees! Once upon a time, we’ll take a walk In the Forest of the Night.